As we get closer and closer to the holiday season, there will almost certainly be an uptick in the number of parties, cocktail events and dinners. A few sophisticated, upscale tools and accessories can make any bar stand out and set the scene for a fantastic event. Whether you’re hosting a business dinner in your home or you’re throwing a spectacular office party, we’ve got the perfect items to upgrade your event and bring the holiday spirit right to your bar. While you’re getting your own bar ready to serve everyone’s favorite cocktail or wine in style, you may find the perfect gifts for others on your holiday gift list who’d enjoy upgrading their own bars. 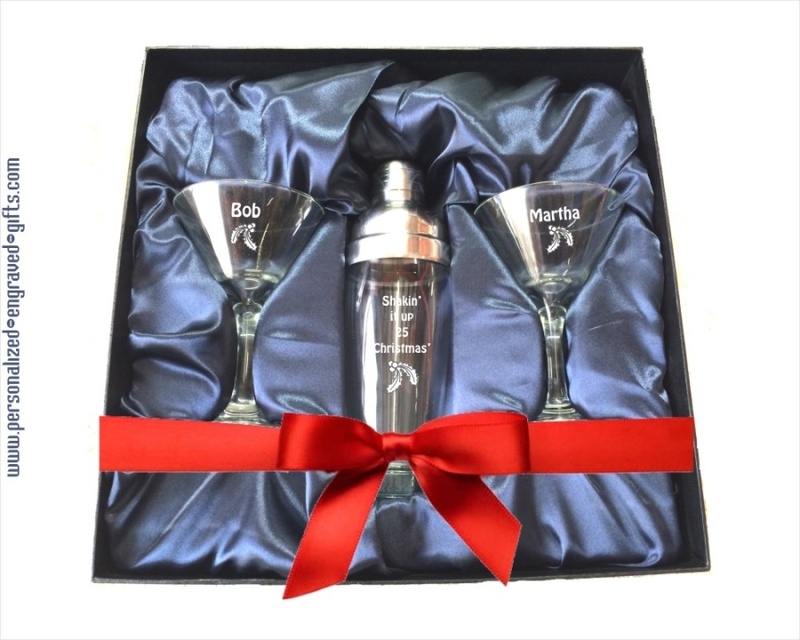 A decanter is a must for any event serving up wine, but you can turn an ordinary item into a true conversation starter with this elegant glass decanter with a silver plated stand. 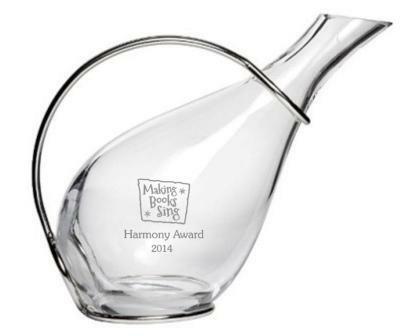 Sleek and beautiful, this decanter holds a full 32 ounces and pours beautifully. 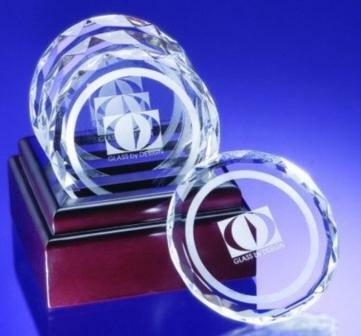 We are happy to engrave it with a special holiday message or just a company name. It is sure to get attention thanks to the tilted design and unusual style. No holiday event is complete without a champagne toast, and nothing is worse than a bottle of bubbly that has reached room temperature. Keep your sparkling wine or champagne chilled to perfection in our classic crystal ice bucket with scrolled handles. The non lead crystal is a whopping four pounds, making this an iconic item that will definitely up the elegance factor of any holiday event. Beautiful scrolled handles make it easy to lift and bring the drinks to wherever the party might be. 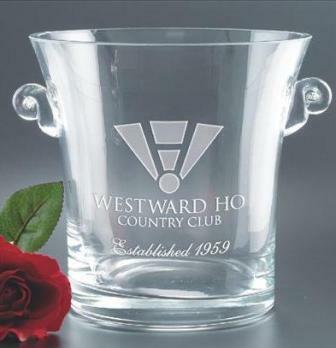 We will deep etch your choice of words or logo right onto the face of the crystal. 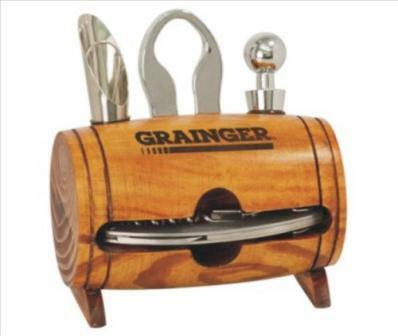 Add instant sophistication to any holiday event with our handcrafted wooden barrel four-piece wine tool set. It may be small, making it the perfect size to nestle next to your wine bottles, but it packs a mighty punch. You’ll be ready for anything with all of the accessories included in this set – decanting pour spout, wine bottle stopper, corkscrew and foil cutters. We can engrave your company’s logo right onto the wood for a reminder of your business to everyone who pours a glass of wine at the bar. Protecting surfaces with a coaster might not be glamorous, but it is definitely a necessity, particularly if you’re holding a big holiday party. With our stunning crystal faceted coaster set, practicality gives way to elegance. The set contains four artful crystal coasters nestled in a wooden base. We will engrave each of the coasters with your choice of company logo, business name or the date of the event. Sending each guest home with engraved coasters can be a classy touch far better than any generic goody bag. Sometimes, the perfect drink for a holiday party is a delectable cocktail. Whether you’re guests are mad for martinis or wild about cosmos, you’ll want to have an elegant modern cocktail shaker on hand. Our stainless steel cocktail shaker bar set is the complete kit needed to prepare any number of tasty cocktail beverages. Along with the full 24 ounce shaker itself, the set includes a bottle and can opener, a basic utility knife, a cocktail strainer and ice tongs. It all gets displayed beautifully in a steel two-tiered stand, and we’ll happily engrave the shaker for an extra touch of class. With these sophisticated tools stocking your bar, you’ll be ready to make a first-rate impression at your next holiday event. Share the holiday cheer and gift your colleagues and friends with similar items to enjoy when they entertain. Browse our selection of awesome gifts! Call us to place your order today.